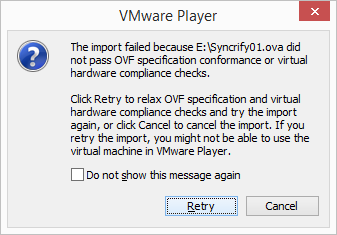 The actual VM is based on Ubuntu 14.04 LTS and is configured to have one 100GB hard drive. 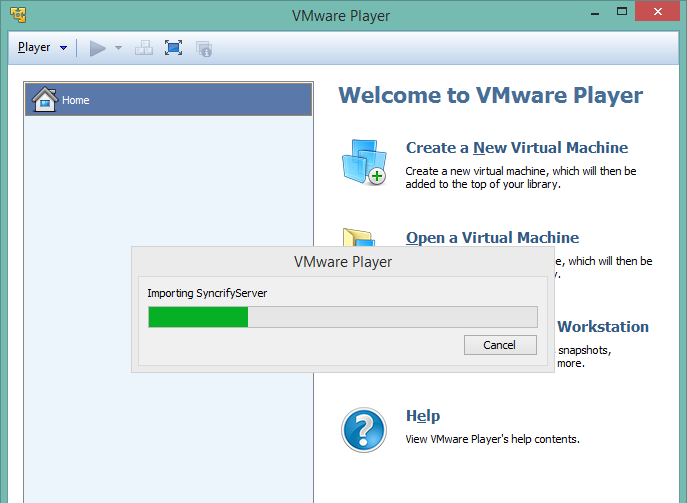 Let's go ahead and start VirtualBox or VMWare Player. 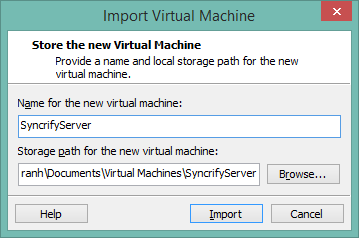 After the Import has completed, you should see Syncrify01 included in your Virtual Machine list in VirtualBox. The downloaded machine does not have any NICs. Therefore, you will have to add one or more network cards to the machine. We recommend adding a Bridged Adapter, which is easier to work with than a NAT. 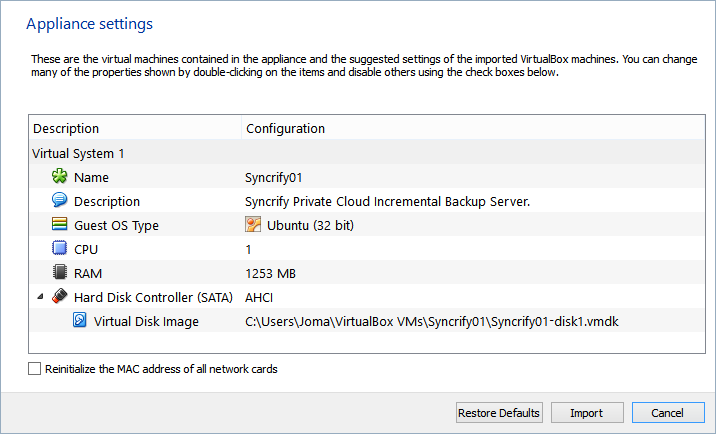 Refer to the documentation of either VirtualBox or VMWare to see how to add network cards. 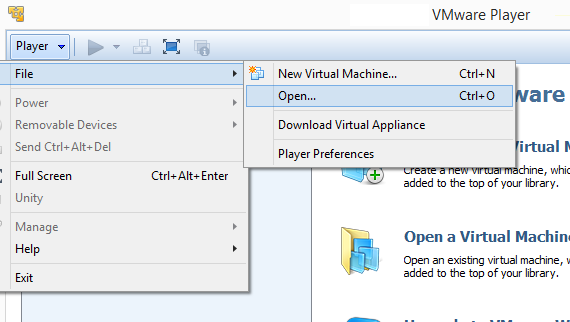 Once the VM is up, you should be able to connect from any other machine on the same network. Samba is pre-installed on the machine and therefore, you should be able to connect using its hostname, which is synavm01. If the host name cannot be resolved, try logging in to console using the user id/password you see above, and run ifconfig to see the IP address, which gets assigned through a DHCP server. Following screenshot display the URL in a browser.